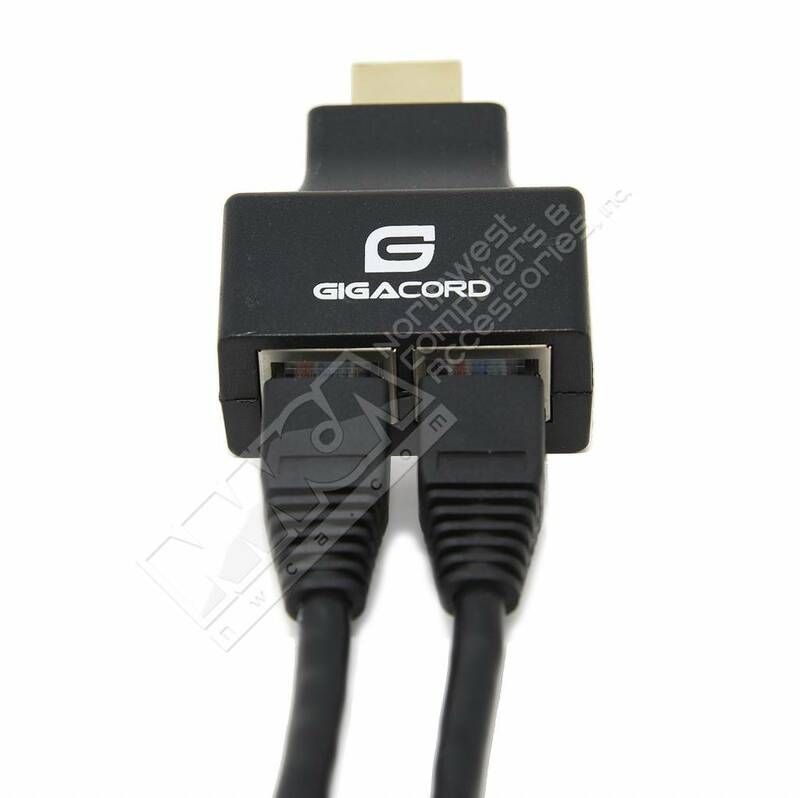 Gigacord HDMI Over RJ45 CAT6 UTP LAN Ethernet Balun Extender Repeater Adapter, Up to 15 Meters (50 Feet) 1080p (1 Transmitter, 1 Receiver Included) **Note: Cat6 wire only** - NWCA Inc. This Plug-n-Play HDMI extender can extend up to 50ft using two standard Cat6 cables. 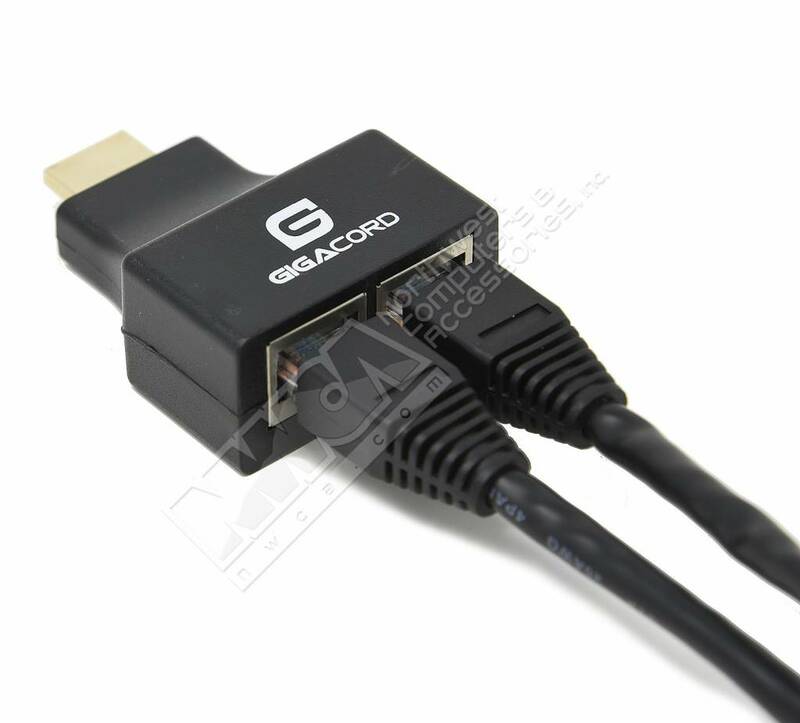 CAT6 cable can substitute HDMI cable to achieve long distance transmission. Transmission distance can be up to 15 Meters for 1080p using CAT-6 cable. 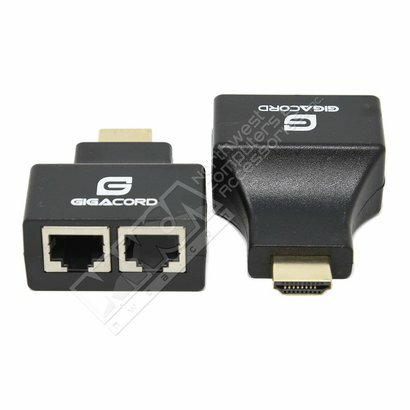 Signal rated up to 1.65Gbps in support of 1080p display.